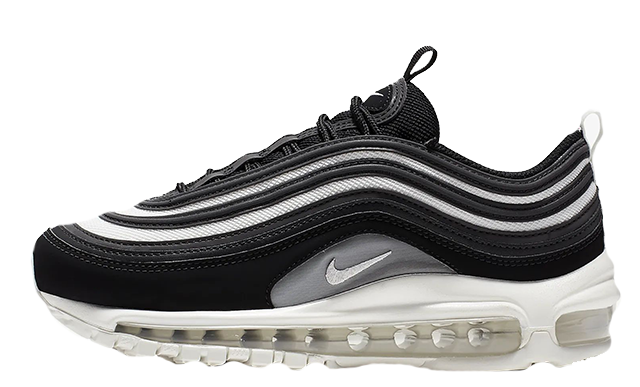 The Air Max 97 is one of Nike’s most popular sneakers for women, which has been selling out since the launch of the OG Silver Bullet. 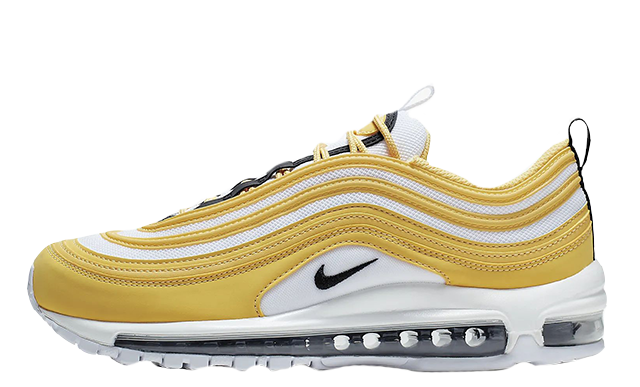 Nike’s second AM 97 re-release arrived in Metallic Gold, featuring a light shimmer on the sidewall. Sleek lines and reflective detailing add finesse to the sneaker’s chunky silhouette. 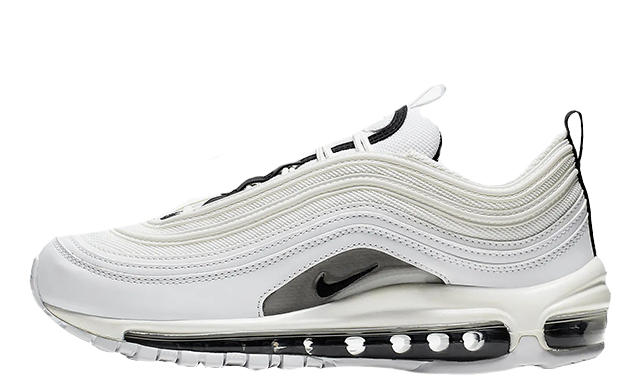 Some of the most iconic features displayed by the Air Max 97 are the translucent 360 degree air bubble unit, its signature ribbed upper, and the mini swoosh on the sidewall. Originally dressed in premium leather, Nike’s iconic shoe has recently been given the luxe treatment for a range of women’s exclusive editions, arriving in crushed velvet and suede. If you’re searching for a sneaker style staple, then the 97 is the one for you. 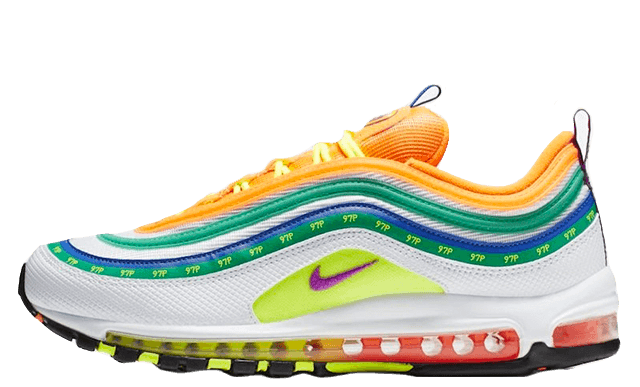 Take a look through this page for the latest Air Max 97 drops and to check out upcoming pairs with their release dates. Save An Incredible £65 On The Nike Air Max 97 Metallic Pack In The Foot Asylum Sale!